Nutrition is vital part of everyone’s fitness goals. Having the correct nutrition for your body is essential to staying healthy and fit. Our trainers have the educational background to get your nutrition on track during your fitness session. We can help you decide which nutrition plan is best for you and your goals. Why Does Proper Nutrition Matter? To maintain a healthy weight, it is important to monitor your nutrition and make certain you’re fueling your body with the correct ingredients. Proper nutrition can go beyond weight loss as well, benefiting all aspects of your life and health. While increasing health should be the main goal of everyone’s fitness journey, that isn’t always the case. A large percentage of incoming clients have weight loss as a goal and have certain aspects of their body they’d like to change. Our programs allow our clients to follow a path to safe and effective weight loss. About 50% of clients enjoy weight loss during our strength training sessions without any other changes in their diet. Another 40% require our intervention, where we clean up diets without requiring a major life change. The last 10% of our clients require more proactive dietary intervention facilitated through us while strength training. We can give them a smart direction to get their body composition where their doctor and themselves want it to be. This is one of the few cases where health and vanity are on the same page. Some of our clients who use those services have been able to successfully come off of medication and benefit from safe weight loss. 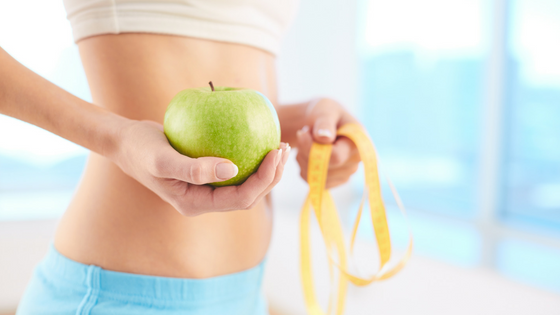 Start your road to healthy nutrition and weight loss by booking an appointment with us to discuss your desires. We can customize a specific plan for your goals and help keep you on track. No fads, no unrealistic promises, just real results.